Hong Kong, October 1, 2012 – Get set for the arrival of Fashion One in Poznan, Poland promising viewers a smart and stylish destination for fashion, entertainment and lifestyle programmes. "We are excited to launch Fashion One with our valued partner, INEA, and provide contemporary viewers with quality programming that plays prominence to female-driven content in Poznan, Poland. Fashion One's fashion related stylish variety content will definitely indulge the mind and senses of today's cosmopolitan urbanites and be their choice of entertainment," said Ashley Jordan, CEO, Fashion One. "We are sure that Fashion One will give our Customer absolutely amazing entertainment because of the wide range of the content", said Tomasz Zmyslny, General Director, INEA. The channel will debut with an original reality series, Eco Fashion, a groundbreaking new docu-series from Fashion One that will take you on a mind-opening journey into the realm of environmentally sustainable fashion. From Iceland to Indonesia, Africa to Canada, India to California, forerunners of eco-friendly fashion are fighting against a world of waste by using innovative techniques of re-cycling, re-purposing and re-using. 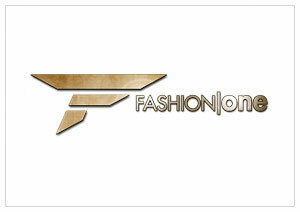 Fashion One will available on INEA Channel 226 starting October 1, 2012.